For use with 4920-8900 Crib. Consists of two posts, one front rail, and one removable guard rail. 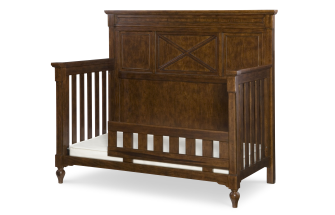 Creates stage two toddler bed and stage three preschool daybed.